dress.jpg, originally uploaded by tinkerellen. 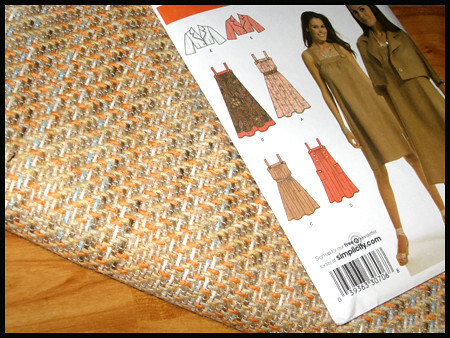 someday in the not so immediate future i want to make this dress out of this fabric. i have yet to sew anything clothing-wise so i'm nervous about the whole thing. but too excited to not try. this week has been one extra grande cup of hot stress. make that two. with cream. and i thought i had time to blog. silly me. another fire to put out by 5. perfect. Cute dress and love the material! I wish I had more time to sew clothing-I have some great paterns. The last dress I made was a wrap dress for a wedding so I could nurse Grant. He's going to be four in January. Yikes-I guess sewing time kinda went out the window there! Just quick mending now and altering maternity clothes. Yawn. Your dress looks so much more fun! Haha, I'm the opposite. I sew too much clothing and hardly anything else. Looks like a good pattern/fabric combo though. received my gorgeous pendants in the mail yesterday!!! They are awesome! Oh, you can so do it! Just jump right in! it ain't over til it's over. is it over yet? tissue? i hardly even know you! so guess who got a shiny new toy?